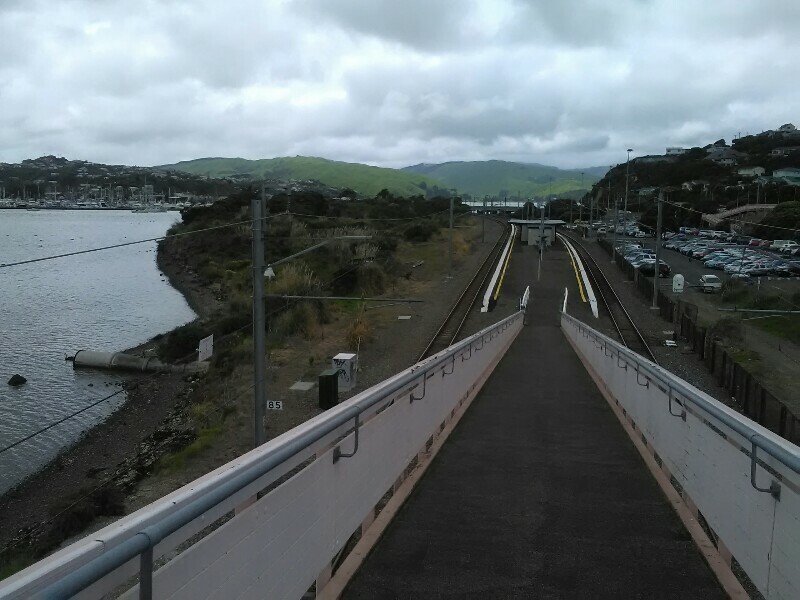 Initially following the railway, the track then zigzags up steeply via stairs. On the way up, I pass numerous of wild fennel, which fill the air with their distinctive sweet odor. 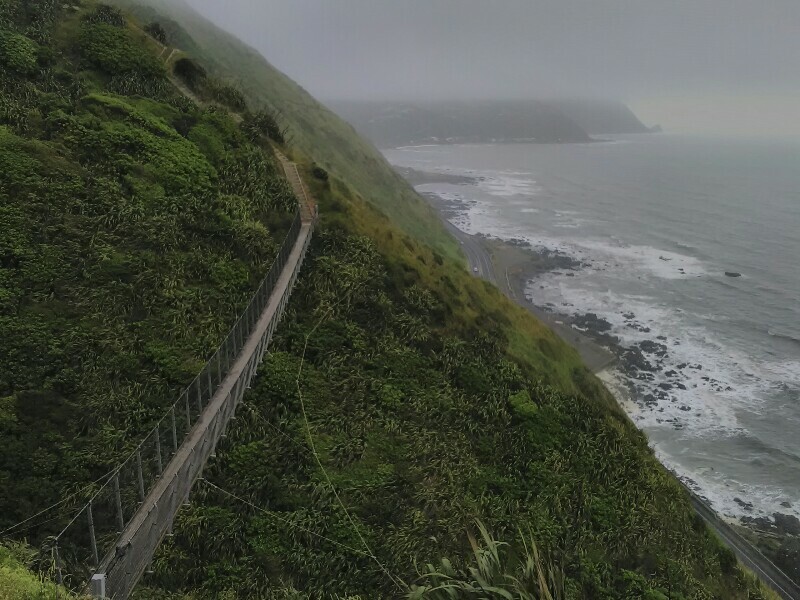 As it's a very exposed track, the higher I climb, the harder I have to fight against the strong westerly winds. At the top I'm once more surrounded by clouds, which is actually a shame, as the views would be fantastic. 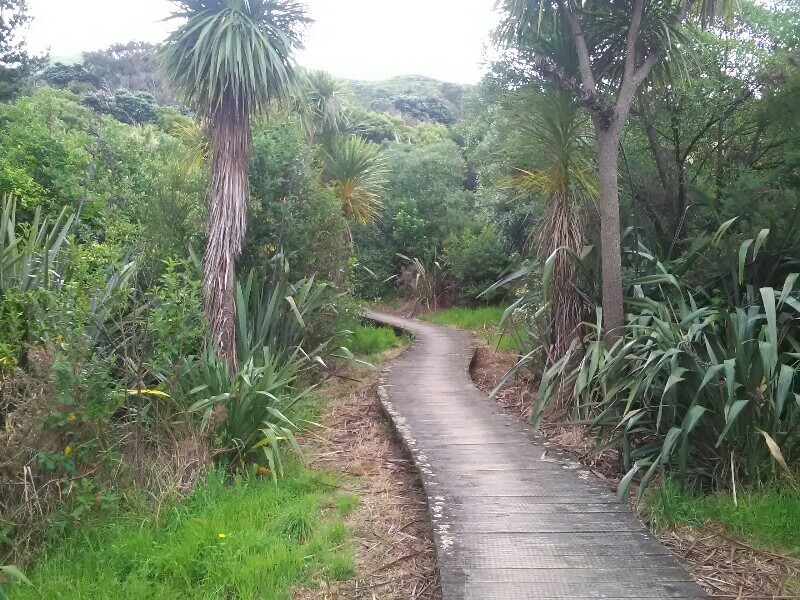 The remaining 20 kilometers are on walk- and cycleways all the way to Porirua - mostly parallel to the highway, with some detours through parks and and towns. I hike at a very slow pace, eating something in every town along the way. 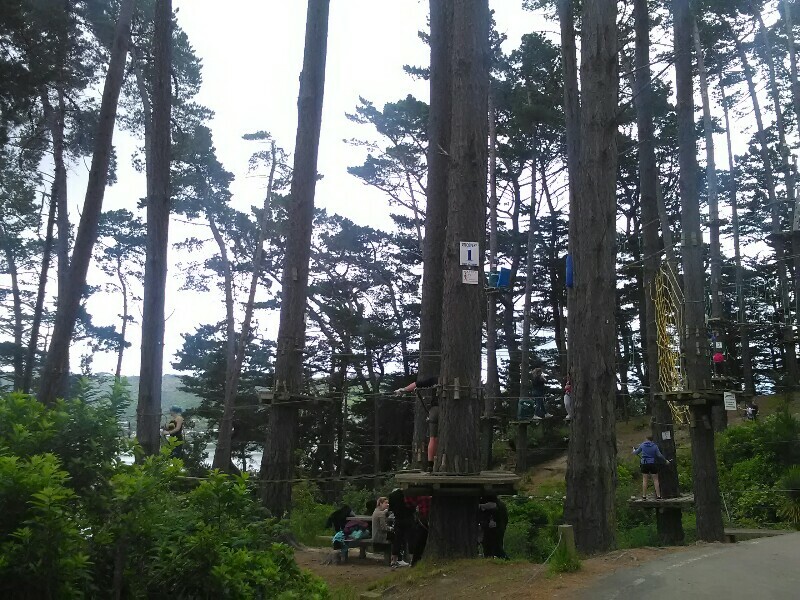 Time flies and I'm already close to Porirua, when an instructor at "Adrenalin Forest", a rope course at Gear Homestead, offers me pizza. Even though I have eaten a whole pizza just an hour ago, I gladly accept - according to the motto: Munch as much as I can before hitting the South Island. We have a long chat about tramping in general as well as TA as he is planning on doing the trail as well. After crossing the State Highway a last time and navigating through a maze of shops in Porirua I arrive at Camp Elsdon, nicely located right beneath the approach path of Wellington airport and directly at the foot of Colonial Knob, which I will climb tomorrow morning. My shin did okay today. As expected, I had an uneasy feeling while descending down the Escarpment: it always seems to occur on uneven, sloping terrain, when the foot is not in a horizontal position. Otherwise I didn't feel it at all, making it a very pleasant hike. Good to see you on trail again. Give your body the chance to recover well. The challenges on the south island will be enormous. Have fun and stay safe.